As March drew to a close, the Texas Animal Guardians’ team was elated. In one week there were six adoptions! There was a sense that all was well with the world. 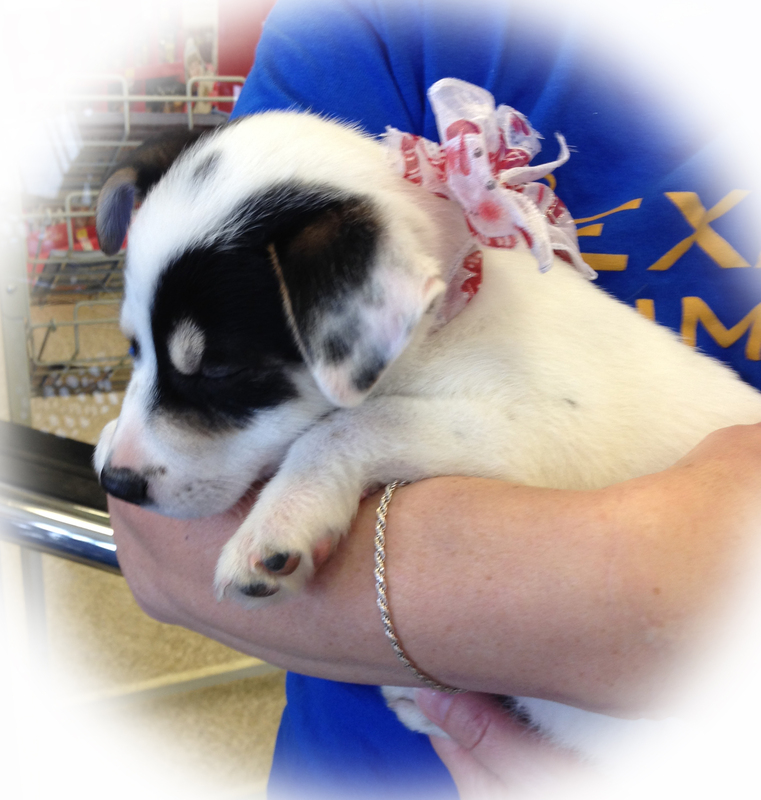 Then everything went topsy-turvy: Recent arrivals of puppies were infected with Parvovirus. 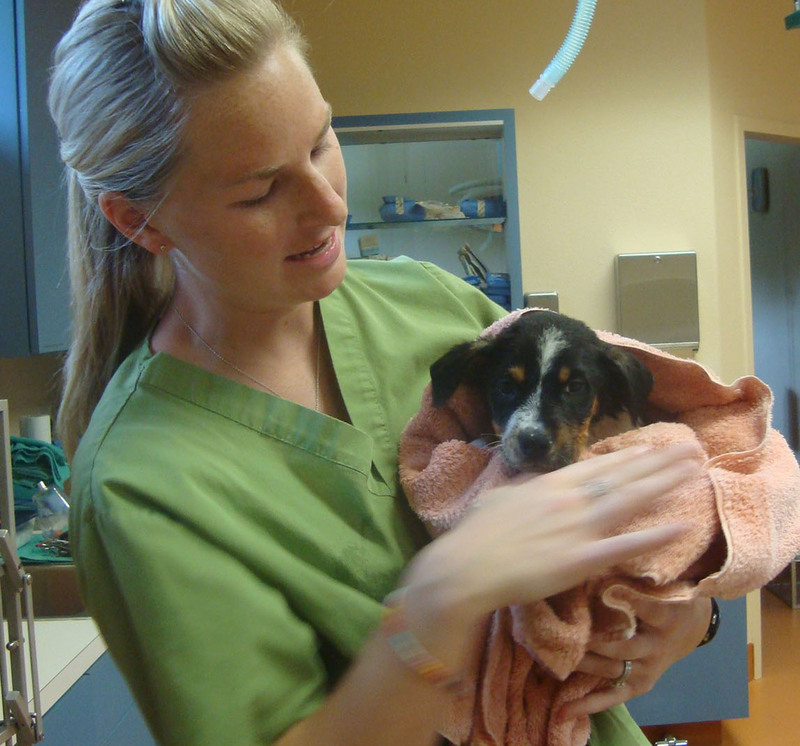 Canine Parvovirus is a familiar bane to all rescue groups. In 2011 it hit many organizations particularly hard. This is partly due to the hardy nature of the virus: It can survive for months outside the body. It’s also due to the ubiquitous nature of the virus: It’s pretty much everywhere! Texas also suffered a long drought in 2011. With no rains to dilute the virus, concentrated pockets remained in the environment. Any dog or puppy with a weakened immune system is going to be in danger of contracting it. Shed through feces, the virus incubates in the body of a Canidae for a period of three to ten days. The virus enters any member of the Canidae family (this includes coyote, wolf, dogs, foxes) orally. Symptoms show up as lack of appetite, lethargy, vomiting and severe (often bloody) diarrhea. The survival rate of an infected puppy is very low. In the case of our new arrivals, they were naturally stressed. So it’s not surprising that their immune systems were weak. Initially, two puppies displayed symptoms. These were rushed to our veterinarians at Canyon City Animal Hospital. They were immediately admitted. (A third puppy did not make it to our veterinarian in time. Sadly, she died on March 25.) The virus does not succumb to antibiotics. No amount of treatment will eradicate it from the body. The only hope is to support the organs with fluids, anti-nausea medications, and antibiotics to protect against secondary infections. All we could do was hope and wait. In the meantime, we worried about the rest of the puppies. There were a total of seven puppies (of various ages) with our group. 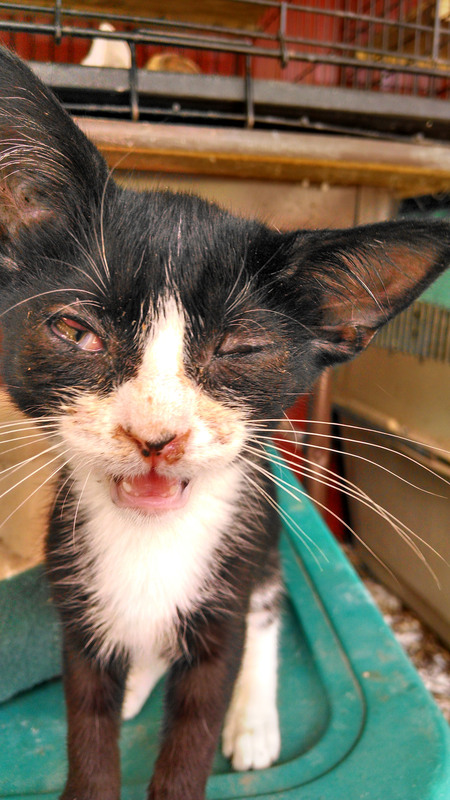 Although they were pulled at different times, they were all removed from the same shelter. Each group of pups was kept isolated from the rest but still; there was a high probability that they had all been exposed to the virus. It’s plain to see that Missy wasn’t feeling well. Thankfully, the two hospitalized pups were responding well to their treatment. After four days they were released into our care. We named them Indigo and Missy. They were still very ill. Indigo ended up with secondary infections: puppy strangles and demodectic mange. 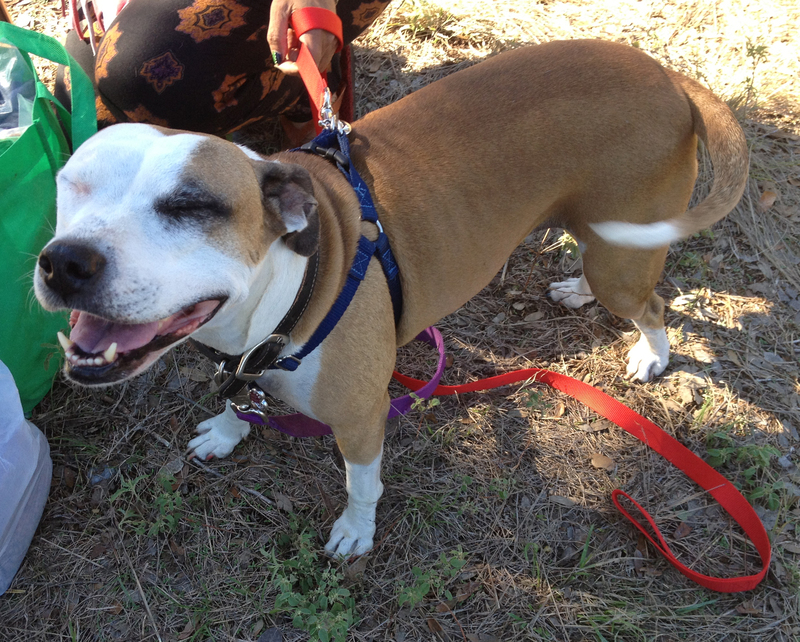 Both pups, particularly Missy, continued having intestinal problems. 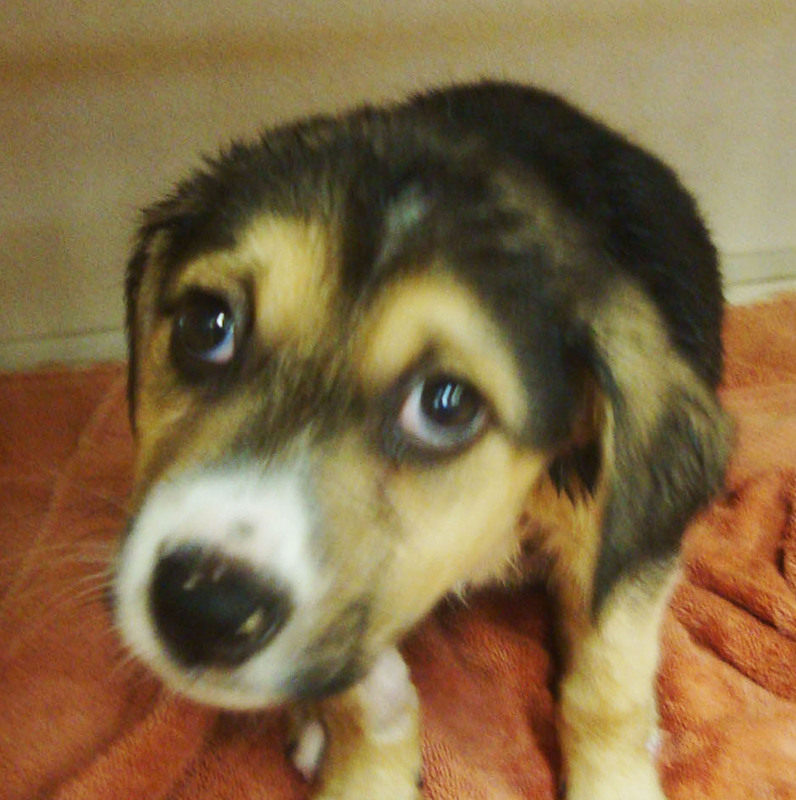 Shortly after their release, another group of three puppies came down with Parvo symptoms. As before, two showed symptoms while the third lagged one day behind. So, two more pups were hospitalized, the third (who was not as sick as the other two) was treated at home by the foster mother. This time, the symptoms of the two hospitalized pups worsened. At this point, our hope was waning. 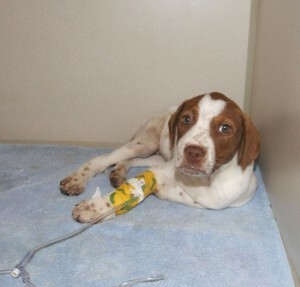 The pups’ fate hung in the balance as we waited for them to turn the corner towards recovery. With daily visits we checked on them, monitoring their progress with anxiety. As the days ticked by the pups remained in a state of limbo. Finally the veterinarian, Dr. Keith Leakey, allowed us to bring them home. The third puppy was responding well to her foster mother’s care. But according to Dr. Leakey, the two placed in his care were hit with a particularly strong strain of the virus. While Missy and Indigo were moving along with their recovery, the two ill pups had only just begun their journey. They were kept in strict isolation. At this point we still did not name them, fearing the worse. 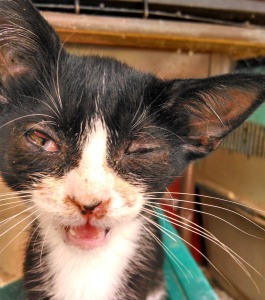 There were many setbacks, numerous visits to the vet’s office, and long nights nursing them. Eventually, we were seeing two puppies recovering their puppy hood! At last we could name them: Fischer and Cierra. As an organization, this incident cost us, not only monetarily but also emotionally. We were literally drained. It was as if this insidious virus had infected the organization, causing the demise of everything we worked so hard to build. But the real trauma wasn’t the organizational cost; it was the damage to innocent puppies. Naturally, we were grateful that the outcome was good. We might have lost all the puppies! Instead, only one lost her life but that was far too many in our opinion. We weren’t certain Cierra would recover. The difficult decision was made to halt pulling any new puppies. According to our vet’s recommendation we would need to wait a minimum of 9 months. The Parvovirus affected our group in another way. It was evident that we were not equipped to handle such large numbers of animals. As much as we wanted to, it was simply too risky to shelter so many dogs together at one time. This could be considered a wake up call. We now needed to concentrate our efforts on securing these little ones great homes. Thankfully that was the easiest part of this whole ordeal! Something short of miraculous happened. Fantastic families stepped forward almost immediately and scooped the pups up. You would have thought they were waiting in the wings for this exact moment to adopt a new puppy. A negative turned into a positive, at least for these little guys. 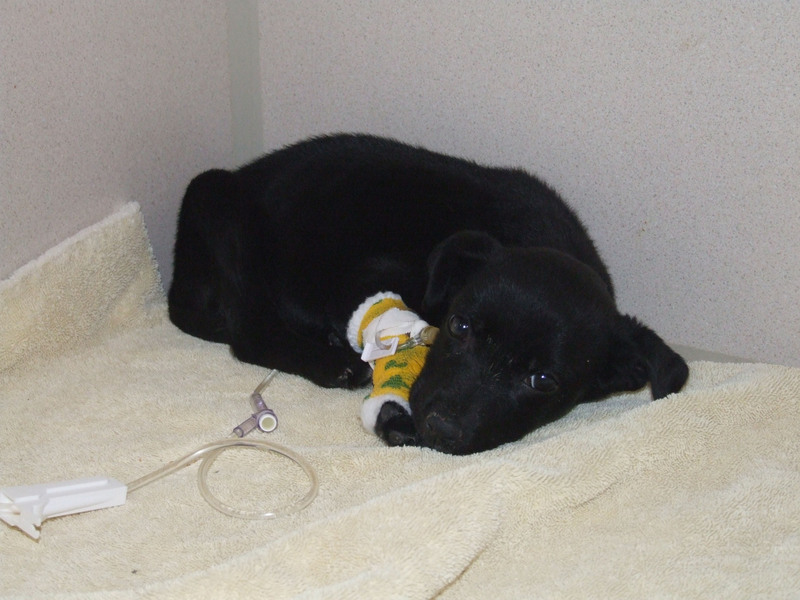 We could only be grateful that they had survived the worst ordeal a pup could ever go through. Now they are living wonderful lives with people who love them.